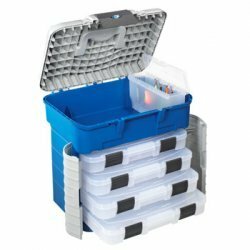 Keep your flies in order and easy to find in fly b..
A family of special boxes with a magnetic surface ..
A great all-around size tackle bag with capacity o..
1L 3/4L 1/2L 1/4L 1/8L.. This bag is a real multi-purpose bag for the enthu.. The Reel Bag has removable inner sections which c..